XZAMS is a multilingual mobile testing and tutorial platform that connects students and learning enthusiasts with domain experts. XZAMS’ mobile applications enable users to prepare for and take practice exams any time and any where – without relying on an internet connection. 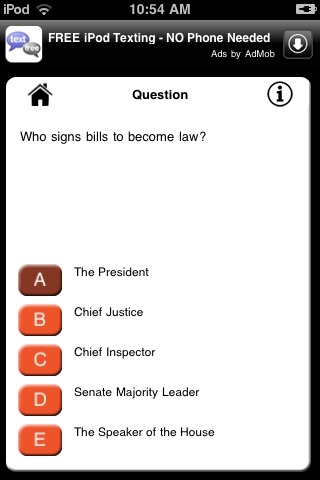 Prepare for the US Citizenship exam anytime, anywhere, with the US Citizenship XZMAS app. Begin or supplement your study with over 500 randomized questions, and choose from “Tutorial” or “Test” modes to meet your exact exam-prep needs. 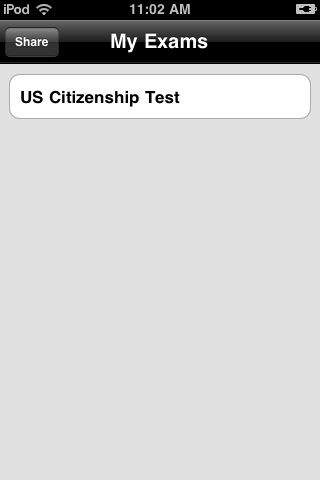 · Over 500 randomized US Citizenship questions. · Two different modes: Test and Tutorial. · Select the number of questions you’d like to answer, from 1 to 50 at a time. 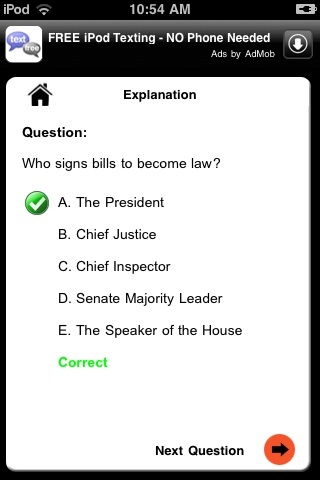 · Clearly defined answers and explanations. · Ability to download other exams and updates in the future (stay tuned). Copyright © 2010 Five Components Inc. All Rights Reserved.